Be you; be bold, be brazen. Lay it on the line because it’s your day, and you are awesome. It's your time to show off your daring audacious selves. who have a penchant for letting loose and wandering adventurously. I love elopement weddings! They can be far more personal and we can have a photo adventure on some mountain top where you share your vows. I have lots of ideas and would love to help. What drives me as a wedding photographer? I am very proud to have over 60 All 5-Star Reviews. Read reviews and testimonials of newlyweds. I consider my couples not clients, but friends. 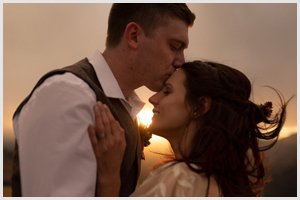 View mountain weddings, elopements, engagement sessions, and anniversary sessions. 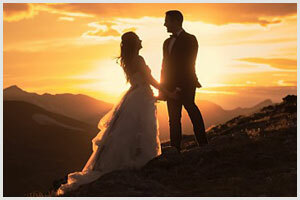 Dylan Burr is a wedding photographer in Denver Colorado, specializing in Wedding Photos and Wedding Films. My signature style ranges from dramatic, moody, to natural and beautiful. Click to view wedding photos. Dylan Burr offers some of the best engagement photos in Denver, Colorado. Click to view engagement photography. I am based in Denver Colorado and cover all of Colorado including Denver, Fort Collins, Estes Park, Breckinridge, Vail, Beaver Creek, Winter Park, Telluride, Ouray, Montrose, Ridgeway, and Durango.